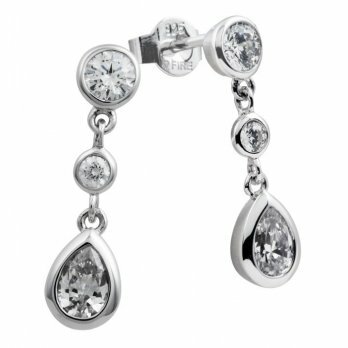 These stunning but simple delicate drop earrings feature round and pear shaped Diamonfire-Zirconia in a contemporary rubover setting. 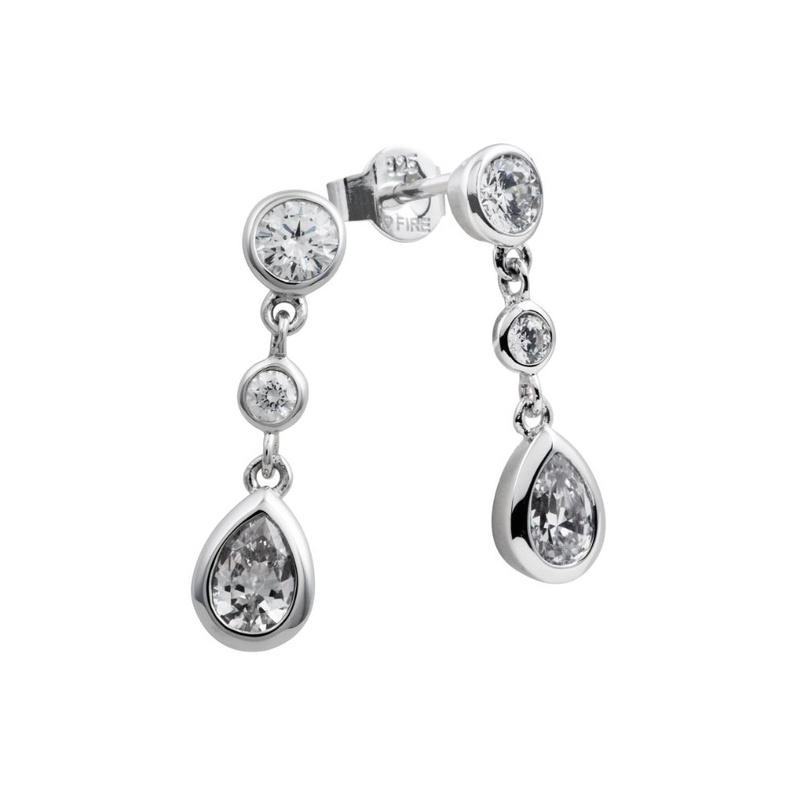 These beautiful earrings will compliment day or evening looks. Rhodium, palladium and platinum plated.